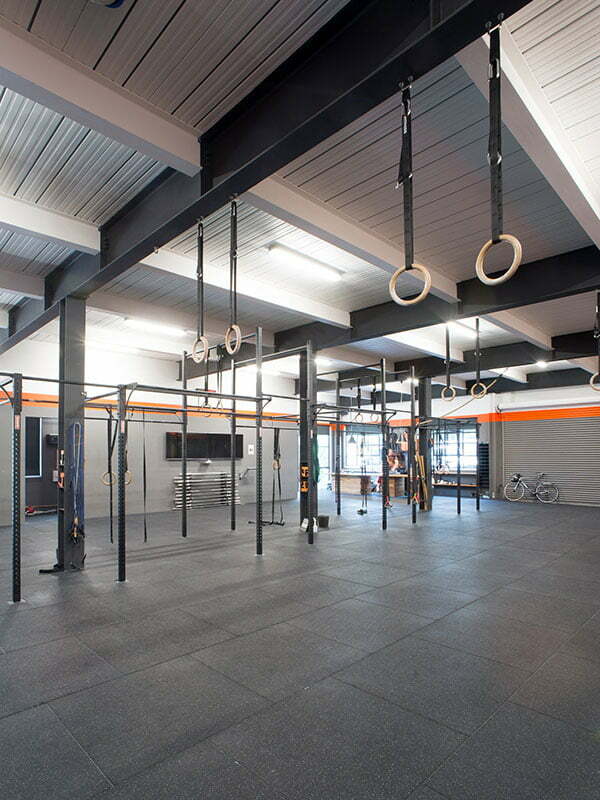 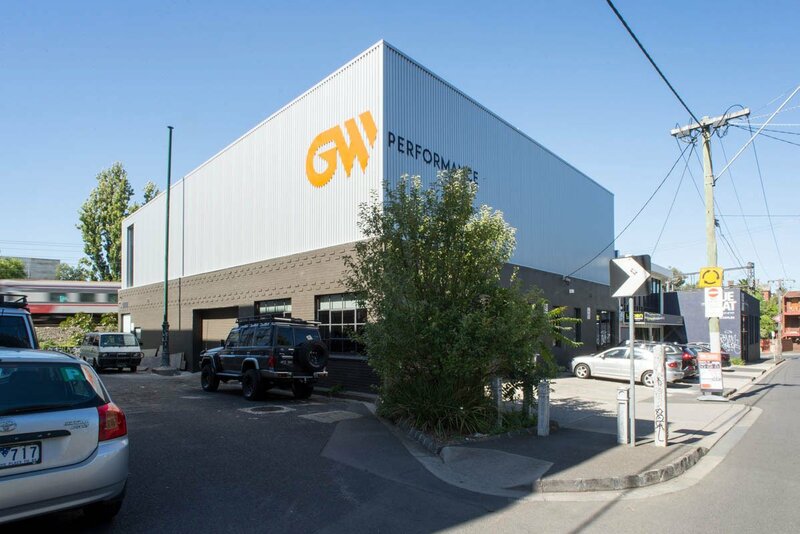 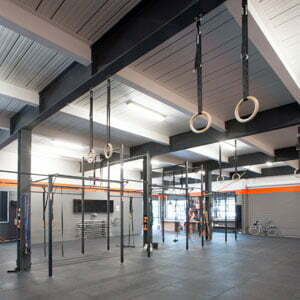 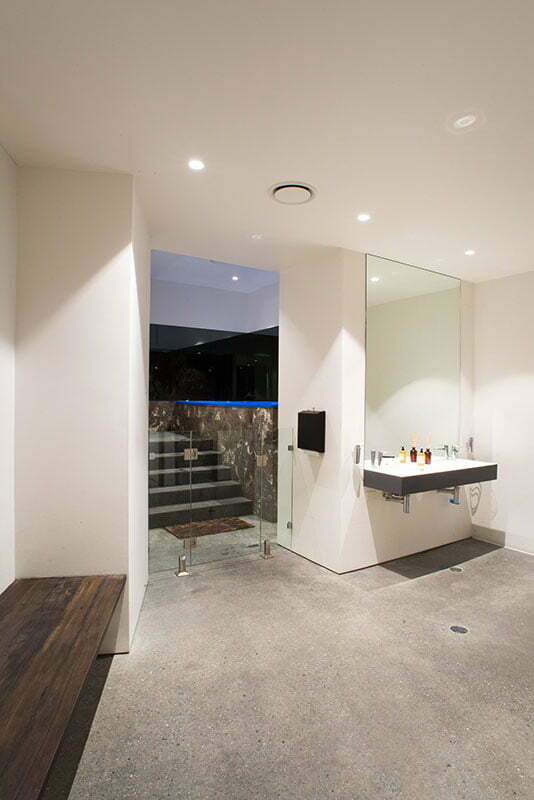 This contemporary Crossfit gym facility is wedged between Garden Street and the train line, near the Jam Factory shopping center in South Yarra. 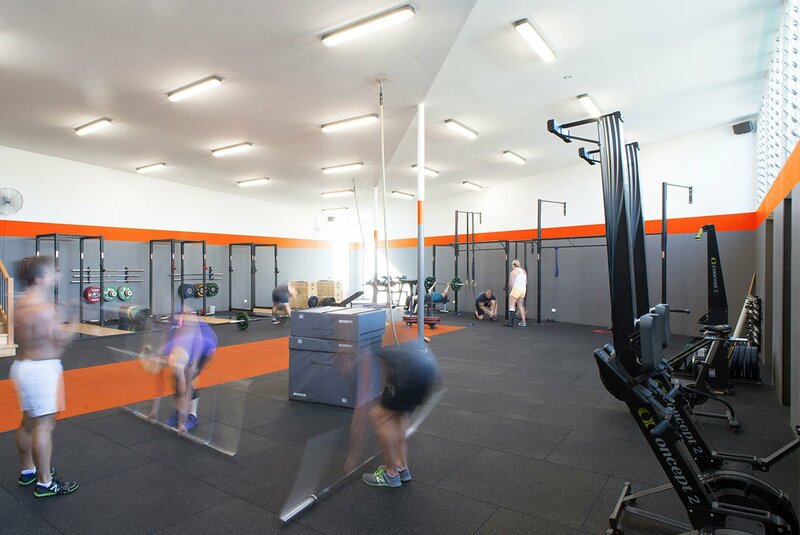 It retains the masonry shell of an industrial building from the nineteen fifties, whilst adding an additional floor plus upper level mezzanine. 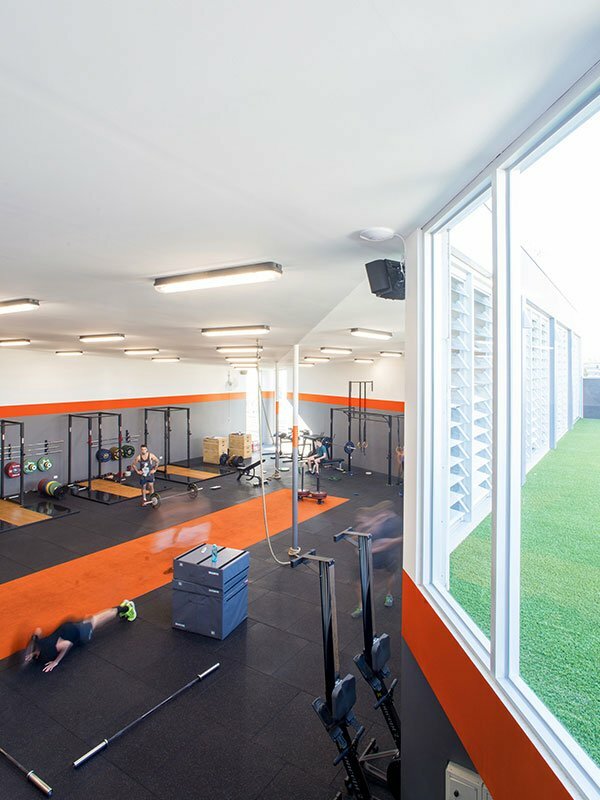 Embodying the Crossfit ethos of strength training, aerobic exercise and whole body health, this facility lifts the aesthetic standard and amenity usually associated with gyms of this type, whilst maintaning a sense of toughness. 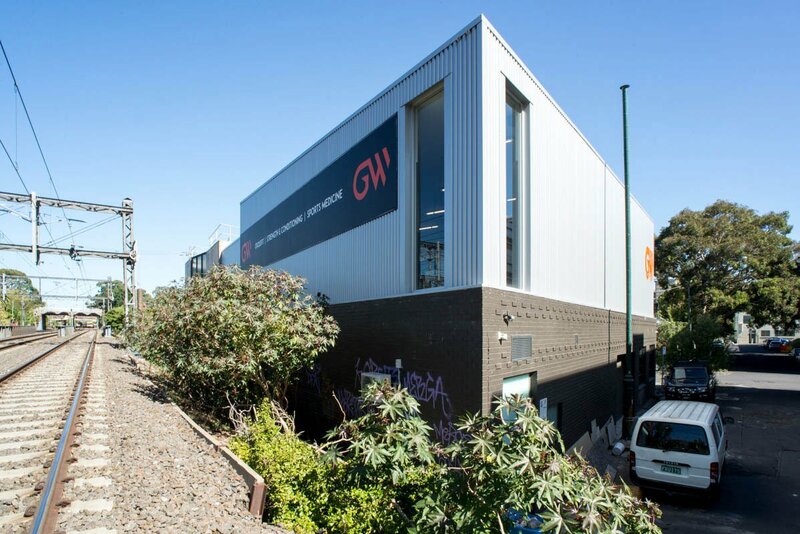 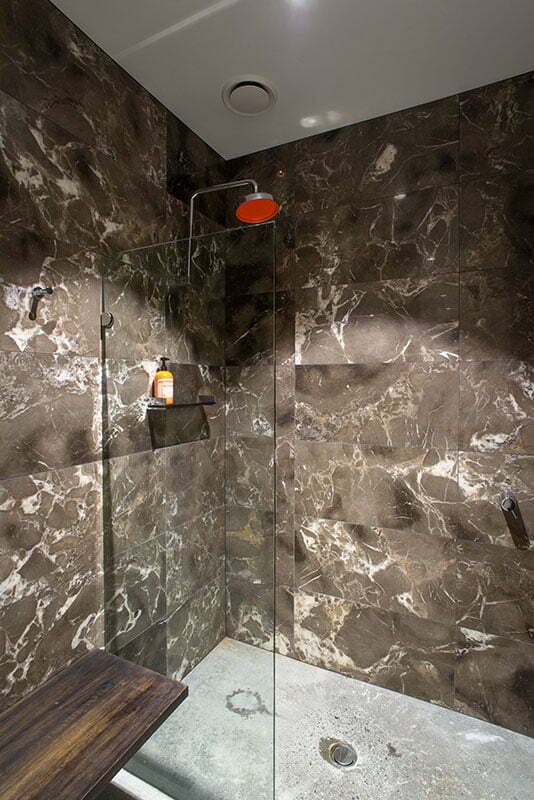 High end bathrooms, icebath, changing, massage and other facilities are provided, whilst deep profiled metal cladding and a folded dart like roof form come to a fulcrum point at the northwest corner, where full height windows capture views of the train line and the city skyline beyond.